If a bug’s switch reaches 0000 or 1111, you can destroy it! 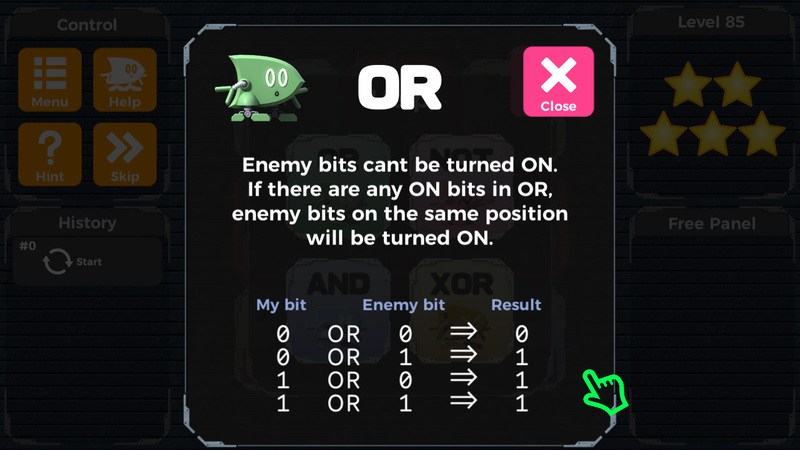 – Manipulate the logical operations panels onscreen to solve the bugs. – Think about how to combine panels and move them around to find the solution! – Use the panels to defend against the bugs advancing onscreen from the right. – If a bug reaches one of the BITROBO, it’s game over.